Welcome to the AOAT Class of 2019! 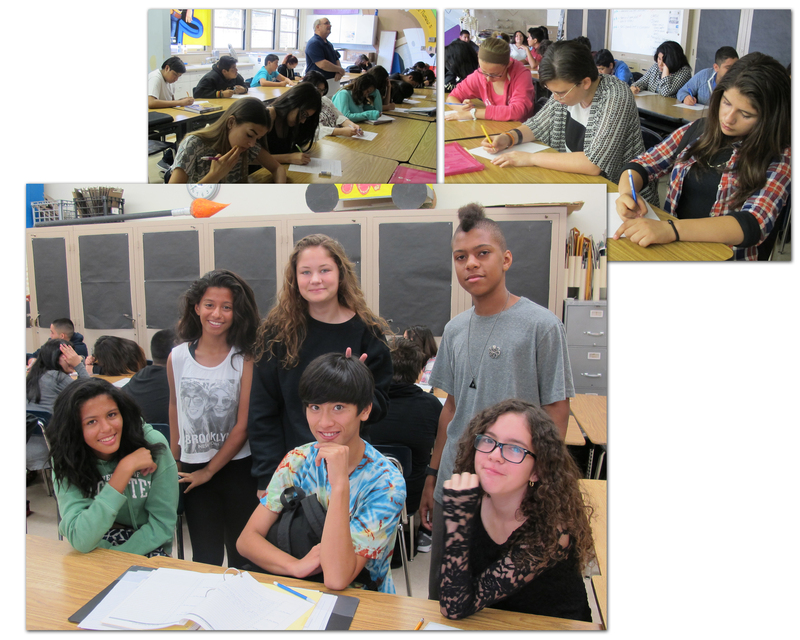 This fall we are happy to report that the 9th grade is back in the Academy, after a 2-year experiment with the “Wheel”. We like to start our students off with a strong foundation during their critical first year of high school, and help them build good habits and set goals for personal success. Here are a few of their bright and shiny faces, ready to take on the big world of high school within the Academy Family! We are also happy to welcome a new English teacher to AOAT. Ms. Laing is new to Cleveland, and is joining the 9th grade team. She will be working hard to shape our Freshmen into critical thinkers and creative writers. Thanks for your enthusiasm and energy! This summer’s interns recently celebrated their successful completion of six weeks of Exploratory Work Experience, with families and hosts helping to cheer their accomplishments. The evening began with a bountiful potluck supper where everyone could mingle and meet parents and hosts. Then the one-hour Expo showcased each student’s experience and project with one-on-one five-minute presentations. Families/hosts rotated around the room to see and hear from as many interns as possible – a challenge with 26 presenters and only 12 rotations! Last but not least, we awarded each intern with a Certificate of Completion, gave their hosts an opportunity to speak about the intern, then took a photograph to remember this special evening and important relationship with their first “boss”! The hosts were all extremely proud and happy with how the students fit into their businesses, and several offered the interns part time jobs during school. 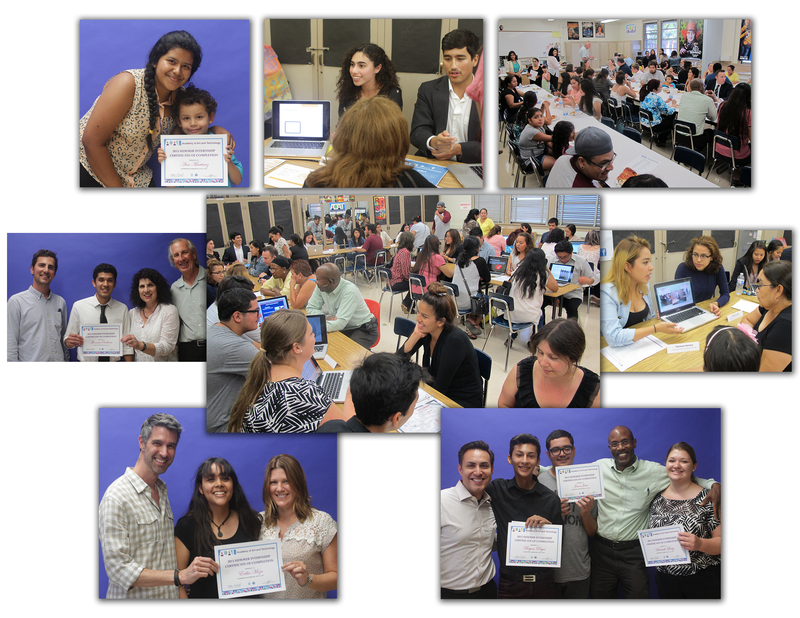 This amazing program is only possible with the dedication of the Internship Team – Teachers Gabriela Rosillo, William Diebold, and Donna Mercer. It also requires the support of parents and hosts, key components of the winning equation. Lastly, we also thank the California Department of Education, whose Partnership Academy grant provides funding.